Here's the new ZenFone that will keep you connected with full charge, introducing ZenFone Max! 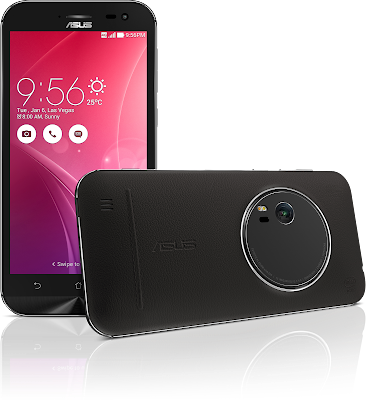 Unlike most mobile phones, ZenFone Max has 5000-mAh capacity, which is almost twice the capacity of most mobile phones. What's more is that ZenFone Max can be your own powerbank to your other gadgets. 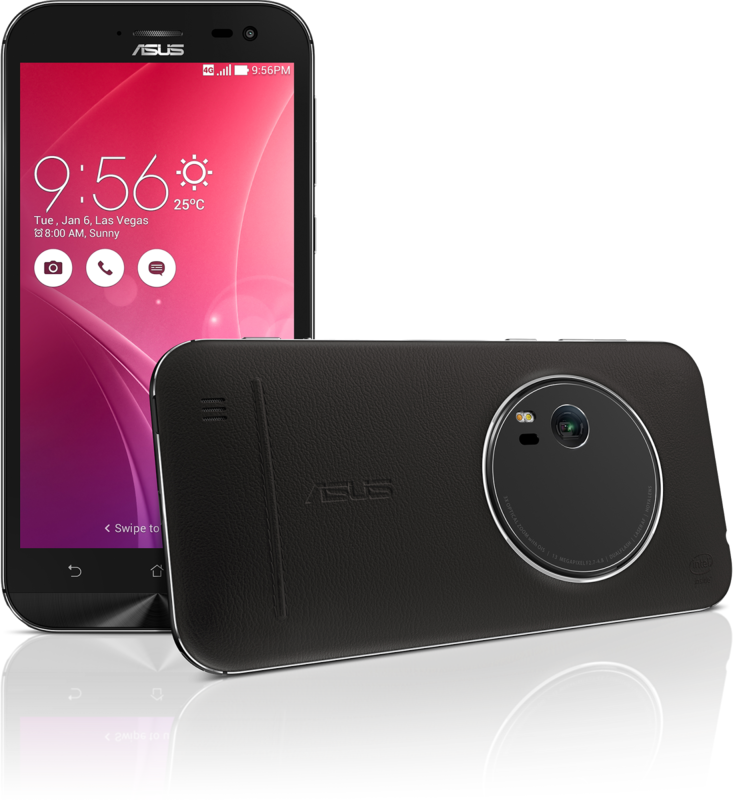 ZenFone Max can last up to 38 days on stand by, with 37.6 hours 3G talk time, 32.5 wi-fi web browsing, and 22.6 hours video playback. I myself have witnessed its battery life. Since my first visit to Maple, I have always wanted to return but never got the chance until the boyfie and I were searching for a brunch place that he hasn't tried before. I suggested that we dine at Maple. For drinks, we had a Milkshake (Php 175) and Cafe Latte (Php 120). I was invited to the media preview of the latest romantic, coming-of-age movie by Erasto Films, "Lakbay2Love", starring Dennis Trillo, Solenn Heussaff and Kit Thompson. Dennis plays a forester and biker named Jay-R while Solenn plays a videographer named Lianne who is making a feature about biking and climate change. Having recently broke up with her longtime boyfriend Mack (Kit Thompson), Lianne asked for Jay-R's help in exploring the beauty of nature through biking and developed a special friendship with him. However, Macky is Jay-R's longtime friend and things turn awkward as Macky tries to get back in Lianne's life. 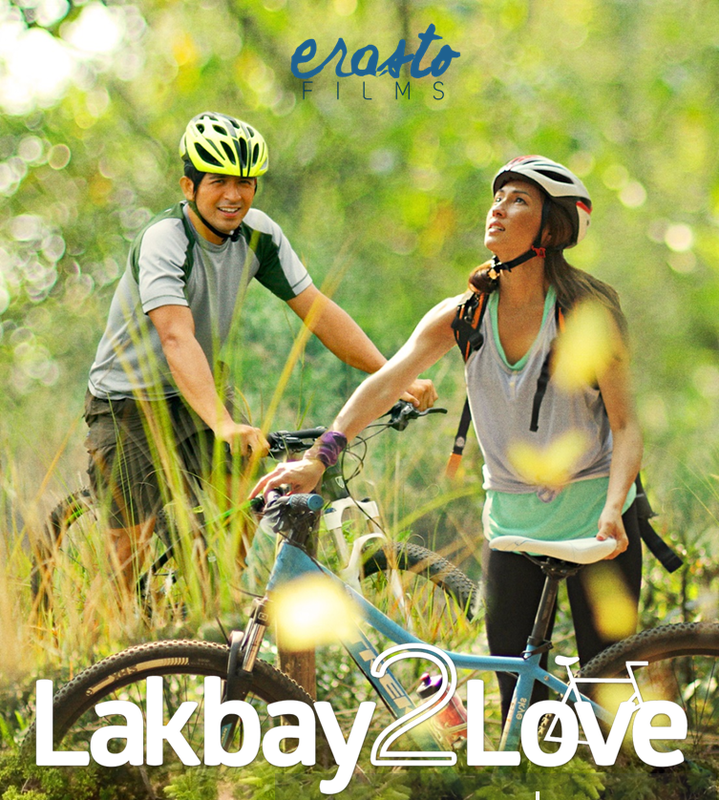 More than the love story, Lakbay2Love promotes environmental awareness and using bikes as an eco-friendlier mode of transportation around the city. The director of the movie, Director Ellen Marfil shared that it took them almost a year to complete the film due to the hectic schedules of the actors and the weather changes while filming the outdoor scenes. Direk Ellen Marfil is also directed the films, "Pusang Gala" and "Boses", both award-winning movies both here and abroad. As a frequent diner at the Mega Food Hall, I was too excited for The Halal Guys to open. The Halal Guys is a food cart concept in New York City selling rice platter and sandwiches with gyro, chicken and falafel. 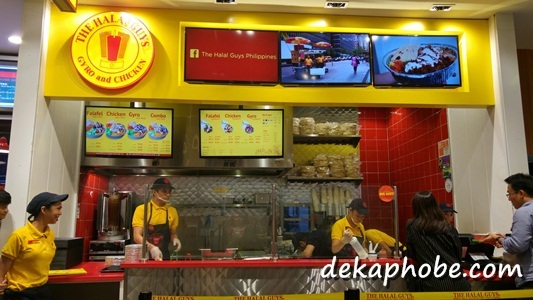 The Halal Guys has expanded to several cities around the US and to Malaysia, Indonesia and the Philippines. The first Halal Guys location in the Philippines opened last October 2015 and was welcomed with outrageous lines from opening until closing. Gladly, the line was bearable so my friends and I decided to have dinner there. 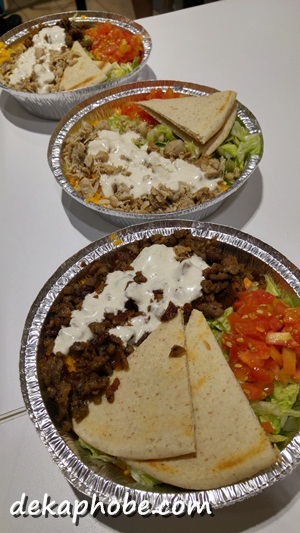 The Halal Guys Philippines offers their platters and sandwiches in regular (or small) sizes and New York sizes. My friends had Chicken over Rice (Php 239 for small) and Gyro over Rice (Php 269 for small) while I had Gyro and Chicken Combo over Rice (Php 269 for small). I was invited last week to have do a road taste in one of the branches of Balai Pandesal. I visited the C. Raymundo Pasig location. Balai Pandesal is a homegrown brand started by college friends back in 2012. Angelo Yaneza, one of the owners, explained that Balai Pandesal only use quality ingredients for all their baked products. Freshly-baked on site, Balai Pandesal has three sizes for Pandesal: Bonete (Php 1.50 per piece or Php 30 for a pack of 20's), Pandesalitas (Php 3.50 per piece) and Pandesal (Php 7 per piece). Our third and last stop in our Tagaytay B&B hopping is Chateau Hestia in Silang, Cavite. Chateau Hestia is a European-inspired bed and breakfast, garden restaurant and deli. We booked an overnight stay in a Loft Cottage (Php 3500), which includes breakfast for two. The Loft Cottage is a tree house-like room, has a queen-size bed on the upper floor with a spiral staircase leading to the garden-style bathroom on the lower floor. The room is well-ventilated with mosquito nets for the bed and a classic-looking ceiling fan. Upon check-in, we were also given a flashlight to guide us when we walk around the area at night. Our second stop in Hole In The Wall is Scout's Honor by Chef Miko Aspiras. 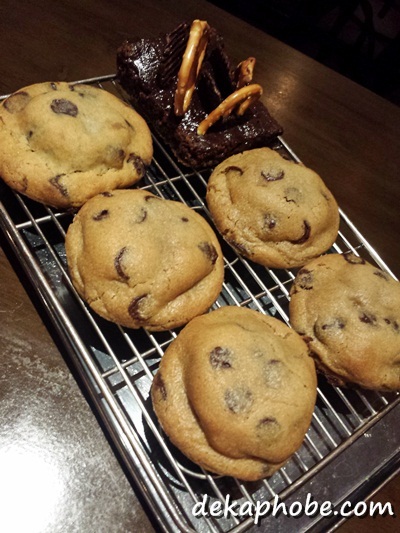 Scout's Honor is a craft cookie shop that also allows you to create-your-own cookies. They also serve coffee, craft milk and craft cookies. The Sapphire Bloc, the newest building in the middle of Ortigas Center, has opened several restaurants that I was excited to visit. One of the newest restaurants is Sobremesa by Chef Benjo Tuason. Chef Benjo is the chef behind URBN BGC, Nest, Relik and Salo. Sobremesa, a Spanish term which means "on table", is a restaurant serving Latin American and Filipino dishes. For appetizers, we had the Sweet Corn Fritters (Php 140) and Shrimp Ceviche (Php 250).